Villamaninite: Mineral information, data and localities. 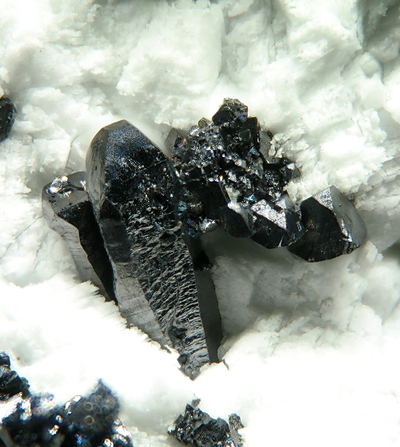 Named after the town of Villamanín, Spain, near the type locality of the Providencia mine. In the original description (Schoeller and Powell, 1919), the title of the paper names it villamaninite (without diacritical marks) and in the paper as villàmaninite, which might be a typographical error as accent grave is not used in Spanish. 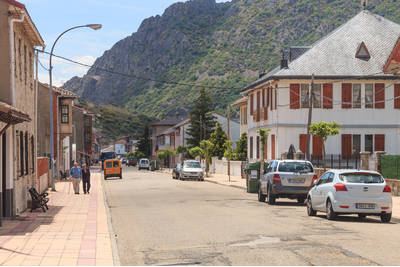 The current spelling of the name is villamanínite, with the diacritical matching the town name. Small nodular masses with a radially fibrous structure and bright spherical surfaces, to about 5 mm. The Natural History Museum, London, England, 1919,309; 1920,7. 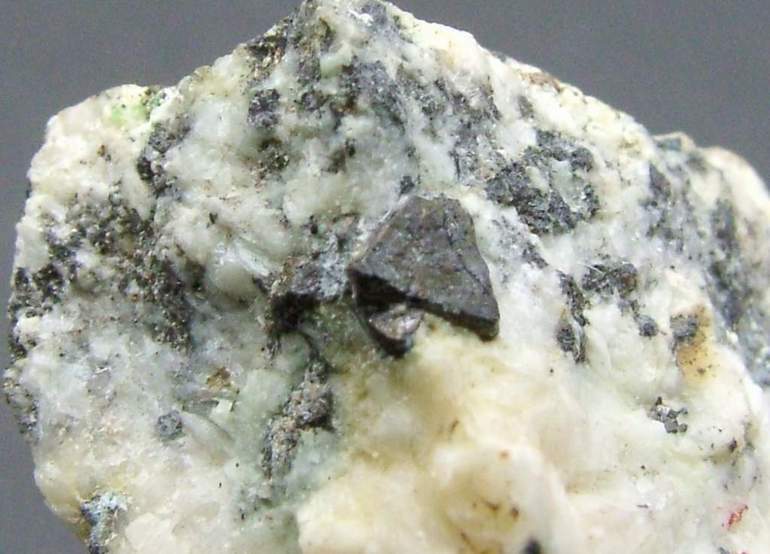 Copper, cobalt, and nickel deposit in a gangue of dolomite. Schoeller, W.R., Powell, A.R. (1920) Villamaninite, a new mineral. Mineralogical Magazine: 19: 14-18. Calcite 22 photos of Villamaninite associated with Calcite on mindat.org. Dolomite 8 photos of Villamaninite associated with Dolomite on mindat.org. Bravoite 1 photo of Villamaninite associated with Bravoite on mindat.org. Soluble in nitric acid, leaving a globule of sulphur. Schoeller, W.R., Powell, A.R. (1919) Villamaninite, a new mineral. Nature: 104: 326-326. Holden, E.F., Wherry, E.T., Gordon, S.G., Hunt, W.F., Foshag, W.F. (1920) Notes and news. American Mineralogist: 5: 166-168. Fleischer, M. (1962) New mineral names. American Mineralogist: 47: 1216-1223. Hey, M.H. (1962) A new analysis of villamaninite. Mineralogical Magazine: 33: 169-170. Bither, T.A., Bouchard, R.J., Cloud, W.H., Donohue, P.C., Siemons, W.J. (1968) Transition metal pyrite dichalcogenides. High-pressure synthesis and correlation of properties. Inorganic Chemistry: 7: 2208-2220. Taylor, L.A., Kullerud, G. (1972) Phase equilibria associated with the stability of copper disulfide. Neues Jahrbuch für Mineralogie, Monatshefte: 10: 458-464. Krill, G., Panissod, P., Lapierre, M.F., Gautier, F., Robert, C., Eddine, M.N. (1976) Magnetic properties and phase transitions of the metallic CuX2 dichalcogenides (X = S, Se, Te) with pyrite structure. Journal of Physics C: Solid State Physics: 9: 1521-1533. Mineralogical Magazine (1977): 41: 545. King, H.E., Prewitt, C.T. (1979) Structure and symmetry of CuS2 (pyrite structure). American Mineralogist: 64: 1265-1271. Zakrzewski, M.A. (1984) Minerals of the bravoite – villamaninite series and cuprian siegenite from Karniowice, Poland. The Canadian Mineralogist: 22: 499-502. Bayliss, P. (1989) Crystal chemistry and crystallography of some minerals within the pyrite group. American Mineralogist: 74: 1168-1176. Marcos, C., Paniagua, A., Moreiras, D.B., García-Granda, S., Diaz, M.R. 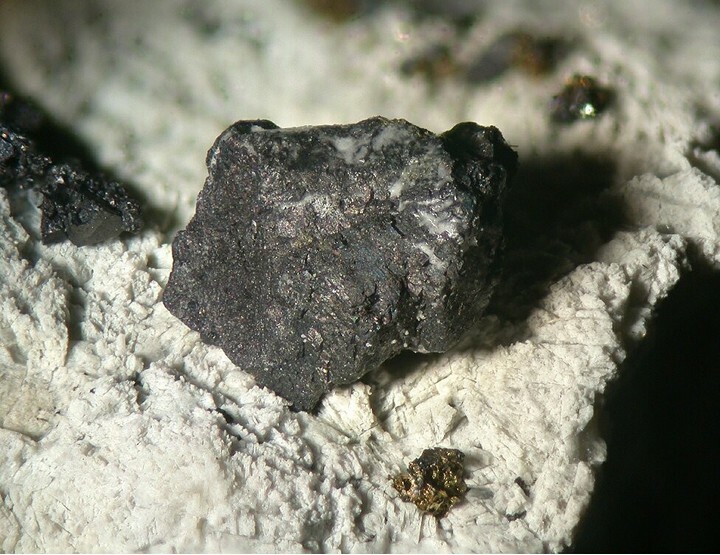 (1996) Villamaninite, a case of noncubic pyrite-type structure. Acta Crystallographica: B52: 899-904. Birkholz, M. (2014) Modeling the shape of ions in pyrite-type crystals. Crystals: 4: 390-403. The following Villamaninite specimens are currently listed for sale on minfind.com. Schoeller, W.P., Powell, A.R., (1920). Villamaninite, a new mineral. Mineralogical Magazine, 19, 14-18.